Have you ever had a Paan? Typically it is made from the Betel leaf with all sorts of pastes and mouth fresheners slathered in. While it is common to have Betel nuts & tobacco in the stuffing (making it carcinogenic), one gets safer and tastier versions too. In fact it is not uncommon in this part of the world, to have the occasional paan to finish off the meal. 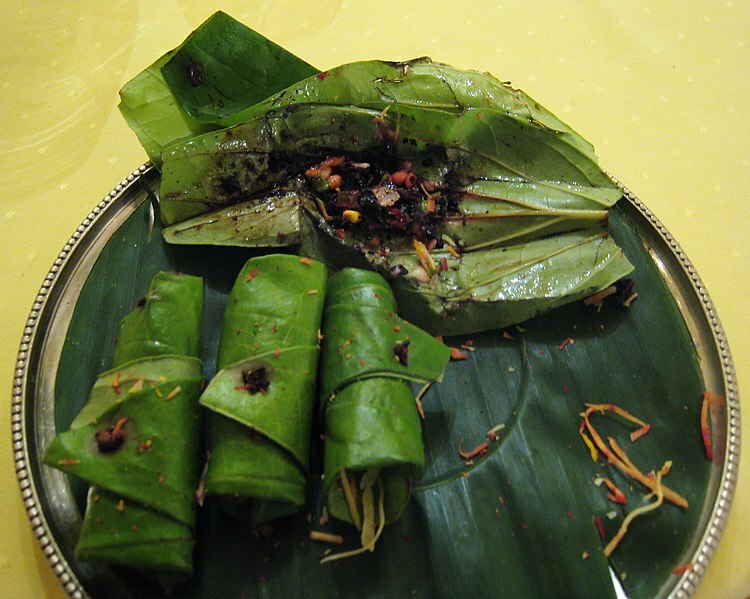 In fact, paan has kept up with the modern times to incorporate chocolate, dry fruits, and other ingredients which were not available to us years ago. I am all about enjoying this occasional paan, but one of worst things associated with betel based paans is that after enough chewing one only has to spit it all out. Areca nuts and lime lead to a distinct red saliva. While many people are civil enough to spit in gutters, bins, & such, there are so many more people who just spit it out on the road. It‘s common to see such red stains in the country, where people who are paan addicts spit out the quid remnants. The other day when I was waiting to cross the road and minding my own business, a bus sped by. A man stuck his face out the window and spat out the paan he was chewing, a large ball of red, disgusting, quid laden spit that hit me smack on the face. Ugghh! I spent fifteen minutes washing and cleaning my face. I absolutely love paan but only meetha paan!